If you have ever looked into making some extra money online, you will know that affiliate marketing is one of the most popular ways of doing it. 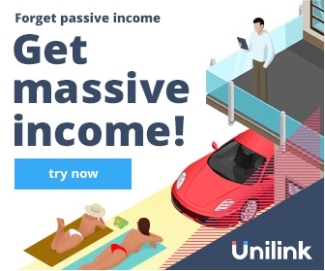 There seems to be an endless stream of success stories, how people are building passive incomes with their blogs using affiliate marketing. Affiliate marketing is popular for a good reason though. Its proven to work, it takes very little or even no investment, and you can start straight away. With brands actively looking for bloggers and marketers to promote their products and services, there is a ready market of options to choose from. They often pay high commission rates for sales too. However, when talking about affiliate marketing, its nearly always a discussion about a blog or a website of some kind. But there are more ways to share your affiliate links than your blog. You can share affiliate marketing links with something you already have — your social media accounts. After all, if you are like me, you spend plenty of time on social media anyway, why not use it to make more money? It’s a great way to add to your affiliate business, and here I’m going to show you how to use each platform and get the best results. To begin, some rules make social media marketing more effective. Let’s cover those first. This is important because in many countries it’s the law to inform people that you are making money from links. When choosing affiliate products to promote, finding offers, we believe in is essential. But that doesn’t alter the fact we are making money from purchases, so always make it clear. That may sound wrong, but when using social media, you don’t want to be a salesperson. Instead, you want to show you are sharing a product you think is excellent and that will help others. So, avoid using sales headlines and marketing phrases. Talk about a product or service as it helps you in your life instead. Make it more personal, and less a sales talk. While you can put a lot of affiliate links on a blog in a short time, with social media, you have to be a bit more careful. If all you do is push affiliate links, you will end up annoying your followers. Instead, choose the best products and services, something you like, and post affiliate links for them. As well as choosing the affiliate program you promote carefully, also stick to the 80:20 ratio. That is, 20% of your content should be affiliate promotions, the rest content that your followers will like. So, post two promotional pieces for every eight you post that are fun. With those rules in mind, the different social media platforms themselves need different strategies too. The most popular social media platform in the world. For many people, the Facebook page of a business is like their second website, and yours should be the same. Facebook allows companies to create pages that feature all the information you would find on the site, giving visitors everything that they need to know. Those features and the number of users means this is probably the most visited of your social media accounts. You need to take advantage of that. The content you share here should be updates to your business, the blog posts themselves, new product launches and so on. This may seem ideal for promoting your affiliate links, but there are limits. To keep your followers, this is the account you post the lowest amount of affiliate links. This is because of the way Facebooks algorithms for sharing your content work. Only post three times a day in total, and only one of those posts every two days should be an affiliate link. More frequent than that and you will find that your content stops appearing in other people’s timelines. That means that in many ways, Facebook is the worst option for making money, and it can seem like a waste of time. However, if you build a good following, because of Facebook’s reach, you can make good money from those limited amounts of links. Remember, the disclosure of the fact you make money off those links is significant. It’s easy to do on Facebook though, just ad a hashtag at the end of your post, #affiliate or #sponsored being great options. In many ways, Twitter is the exact opposite of Facebook. Because a tweet is only valid for about 20 minutes, Twitter encourages lots of tweets. To be effective, you should be tweeting around ten times a day, more if you like. Stick to the 80:20 ratio, but even then, that means plenty of affiliate posts in a short amount of time. The big challenge with Twitter is the limited amount of characters you can use. With just 280 characters including spaces, you have to be creative to get your message across. As well as being smart with language, also remember to use hashtags, they are a crucial part of the platform. Restrict it to two though. Otherwise, your tweets are too cluttered. As with Facebook, a hashtag for disclosure saves time and characters. Using #afflink or #ad is popular and works well. Instagram differs from the previous platforms because it’s all about the visuals more than the text. This does make it one of the most challenging platforms to succeed on. You need to master the photography skills that give you the beautiful Instagram feed that keeps followers with you. However, if you can get it right, the ability to show both photos and video of the products you are offering is excellent. Instagram can get some of the best response levels of any social media once you are established. 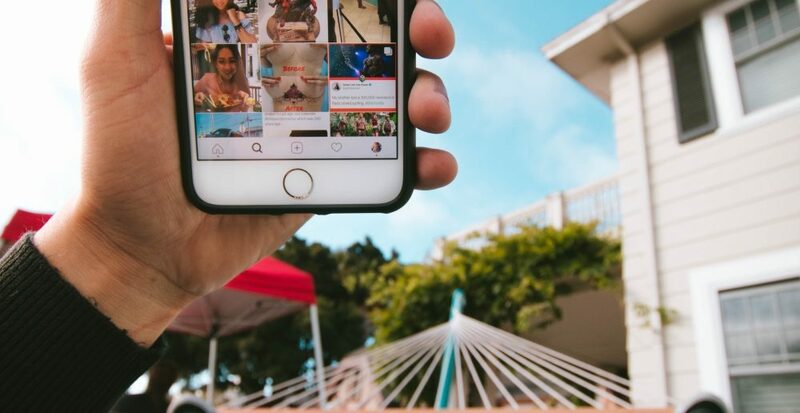 There are several affiliate programs designed purely for Instagram, such as Liketoknow.it that are excellent if you have a permanent Instagram presence. However, any affiliate product can work, but here, more than a link, you need to be showing the product at its best. Instagram campaigns should use your links sparingly, take a similar approach as you do Facebook for posting and affiliate volume. You can use the same method to disclosure as Facebook, with the relevant hashtags. Like Instagram, Pinterest is a visual platform, but unlike Instagram, you can turn the images themselves into your affiliate link. You can frequently pin the more you post, the better your pins are rated. However, you still want to stick to the 80:20 ratio, and as you get more pins, this can be difficult to keep track of. The best way to manage this is by using a spreadsheet for all your affiliates, and then at the end of the day, go down the list and add affiliate links to the right number of posts. You can use hashtags for disclosure as with other platforms, #afflink, or #affiliate being the most common. Next Article Why is Affiliate Marketing a Perfect Way for You to Make Fortune?